Is Yoga Beneficial For Candida? - YeastInfection.Org by Eric Bakker N.D.
You are here: Home / Yeast Infection Treatment / Is Yoga Beneficial For Candida? Here at YeastInfection.Org we are all about holistic approach to get rid of candida yeast infection. A question that we been getting asked a lot: if yoga can help or not? Given that candida is an internal problem that is usually treated by giving substances orally, yoga seems like an unusual and ineffective treatment for candida doesn’t it? But in any case, the answer is YES, and for several reasons. Yoga is a practice that originated in India thousands of years ago that has physical, mental, and spiritual aspects. It consists of adopting various postures or poses that improve flexibility, balance, and stamina, and also includes meditation along with exercises for controlling the breath. Reduces toxic load. Sweating is one way in which the body releases toxins. Any form of exercise that induces sweating, including yoga, helps remove toxins from the body. Candida cells produce about 80 endotoxins that are released into the body. These toxins, such as ethanol and ammonia, can change the body’s internal environment in a way that favours the further growth of candida. Also, once you start treating your candida infection and the candida cells begin to die, you can experience a process called candida die-off. 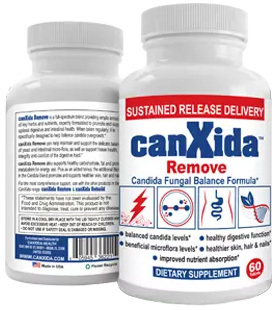 The dying candida cells release different toxins, called aldehydes, into the body that cause additional symptoms, such as fatigue, headaches, and brain fog. Regular exercise, such as yoga, can reduce the toxic load produced by both living and dying candida cells by excreting them through the sweat glands and thereby reduce the symptoms of candida. Balances hormones. Yoga postures can regulate the endocrine glands, which produce various hormones. A study published in the Journal of Infectious Diseases in 2000 showed how excess estrogen directly causes candida overgrowth, especially intravaginally. This is why women who take oral contraceptives or hormone replacement therapy during menopause are especially at risk for candida infection. The regular practice of yoga can help to balance the hormones and reduce the risk of candida overgrowth. Balances blood sugar levels. By helping to build muscle and endurance, yoga lowers blood sugar levels. Candida thrives on sugar. This is why people with diabetes are particularly prone to candida infections. Lower blood sugar deprives candida of its main fuel source. Strengthens the immune system. Reduced stress and lower blood sugar promote a stronger immune system. Strong immunity is the key to preventing candida as well as other infections. What should I do if I’ve never done yoga before? Yoga is very easy to learn. The best way to start doing yoga is to take a class. A class gives you the benefit of an instructor who can guide you in doing the poses correctly and adapt them for you if you have any injuries. You also get the benefit of a group for emotional support and motivation. If taking a class is not an option, you can buy or borrow yoga DVDs from your local library or watch youtube videos on various poses and routines. At first, some of the poses may be difficult, but if you persist, you will eventually gain greater flexibility, strength, and endurance, not to mention a calmer mind and better general health. Even though yoga is not considered a primary treatment for candida, it is a wonderful adjunct treatment that brings many health benefits for mind, body, and soul. Eric talks a lot about the holistic approach and the role of immune system in his book candida crusher. So while yoga will not have a direct impact on candida itself, it can help build your immune system which holds back a lot of people from getting rid of the infection. As usual consult with your physician to find out if you are fit for yoga. You can also book your consultation with Eric and he can go over everything with you.